"Let us therefore come boldly unto the throne of grace, that we may obtain mercy, and find grace to help in time of need." Providing for the poor, handicapped and disabled such as land mine victims, mentally disabled, widows in distress and the elderly. It is our aim and privilege to serve others and to meet the needs of those around us. Our Home is often referred to as a "children's home" and it is, yet it's not...it's just our home, enlarged to encompass children who have been orphaned, abandoned or neglected. They are "adopted" into our home and hearts to be a part of our family. They are no longer orphans or homeless. They are loved and nurtured in the admonition of the Lord Jesus Christ. Paul on his knees...before the pay window at the hospital. We are continuing this ministry never turning anyone in true need away. We are blessed in that today there are several nearby local clinics both on the Thai and Burma side of the river, and a local ambulance! So we often refer both students and villagers to these for treatment. Yet we still are busy attending and responsible for our children's medical and dental needs. Also for the students. And we still receive those who have come to us through the years, or emergencies specially referred to us or who have connections at Sunshine Orchard. ​Sunshine Orchard offers a Christ centered and deeply spiritual healing environment for children and youth who have suffered through the persecution and privation of cilvil war. It's a 1-12 Grade Learning Centre. We have 170 boarding students and over 100 day students. We are located on the Thai Burma border. Sunshine Orchard was born out of meeting the need for under privileged children and youth born out of an urgent situation and desperate need. The school operates a work study program and offer vocational subjects. We operate by faith in God's provision and faithfulness and are not backed by any organisation, thus we depend solely on donations day by day and month by month. Is a small mountain school in an impoverished village. We have 45 students. It is staffed by Sunshine Orchard graduates willing to give a year in God's service, before continuing their own education. A faithful godly man persevering for the continued opportunity for education for his people. This school has been relocated in a new undisclosed area. Through the years Merciful's school have brought some of the finest young people to Sunshine Orchard for continued education. Please keep his family and this school in your prayers as they rebuild the school. Please pray for Karen Outreach as we provide yet for one more school. 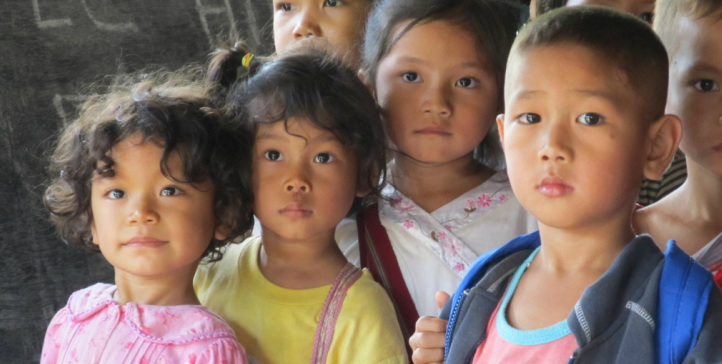 A Mission school within Karen State. Meeting the needs of remote villages without water systems, toilets, medical access and the basic needs such as soap, mosquito nets, blankets, clothing, shoes. Also sharing seeds and fruit trees. Four mission schools within the refugee camp, one hour south of us, We have paid teachers salaries, but due to a shortage of funds, we have been unable to continue provide. Please consider this need.